I'll never forget the day I was strolling through Neiman's on the way to my car when suddenly, this woman in her late sixties with the most charming English accent and bold statement jewelry grabbed my attention. 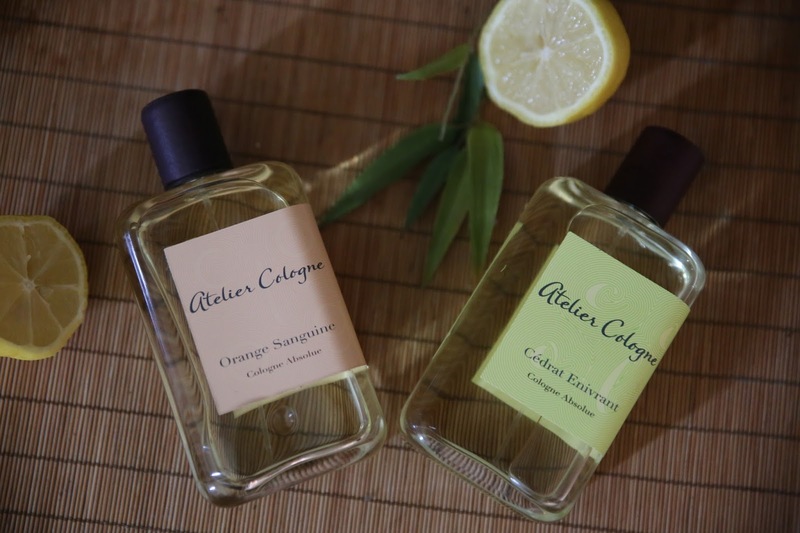 I was summoned over to her counter in order to experience the sensations of Atelier cologne in Orange Sanguine. I was mesmerized by the way she engaged me in conversation regarding the history of this cologne, the notes, the legacy of the perfumery-all of it. After over 30 minutes of conversation, I walked away a bottle of the most pleasant citrus scented cologne on the planet. I'm one of those people who hate eating oranges because I loathe how it smells on my hands. So why would I every purchase an orange scented perfume? Simply because it's done so elegantly with notes of blood orange, bitter orange, jasmine and sandalwood. I adore the freshness of the scent. Countless of my hard earned dollars have been spent on fruity body splashes that fail to deliver the clean (non-alcohol) scent of the fruit in a way that compliments my natural scent. This does. Over a year later and I haven't put a dent in the bottle. A little goes a long way. I thought I was set for life. That is until last weekend, when I was hurrying through Neiman's and spotted Dorothy, my old friend at the fragrance counter. We chatted a little about her explorations in Europe and the many perfume houses she visited. Suddenly, she exclaimed, "I have a scent that is perfect for you" as she hurried to the other side of the counter. Dorothy reappeared with a bottle and reached for my wrist. After a few spritzes of Cedrat Envirant, I raised my wrist to my nose and breathed deeply. Heaven. My wrist gave off was the softest, sweetest lime scent. Absolutely. Perfect. For. Spring. I needed this in my life. I needed it to splash on after a refreshing shower. I need to experience the crisp aroma of fresh lime, Chinese Mint, juniper berries and bergamot as I sit in my boring meetings at work. I needed a light, fresh scent that didn't make me feel like I was wearing perfume. This was exactly what I needed. Dorothy read the look on my face and whispered "treat yourself." The rest is pretty much history. Create a hair growth spurt now!